For those who are unfamiliar with functional medicine, it should be stressed that it is different from “conventional” medicine. This type of medicine does not work by treating diseases with medications that only provide symptom relief but by improving one’s health and quality of life to reduce the possibilities of diseases. It’s a personalized approach so that means interventions are specific to your health needs. It takes advantage of the latest scientific research and its approach is incorporated with your own genetic makeup. Therefore, every aspect of it specifically addresses your specific needs. When it comes to functional medicine nutrition, the approach is basically the same. Through a personalized treatment plan that includes diet and lifestyle change, you will be able to optimize your body and improve its full function. 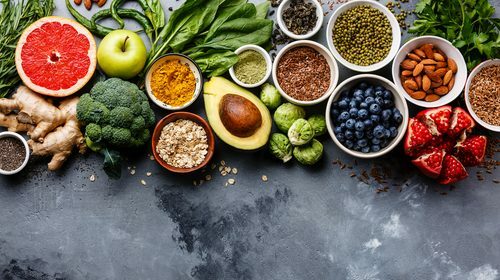 To get to know how to achieve your body’s optimization through functional medicine nutrition, we have some ideas for you to get started in your own way. The most important factor in optimizing your body is by thinking of food as medicine, and to include the vitamins and supplements that your body needs to function normally. Your food intake is essential to health. Only a small percentage of Americans eat the required intake of fruits and vegetables daily. When deciding what food to eat or what to stock in your refrigerator, go for the healthier ones. These should carry nutrients that will help prevent diseases and make your body function better. Remember that food can either harm your body or heal it so do your research and make smart choices. For example, with carbohydrates, stay away from bad foods that are way too sugary, over-processed, refined foods and choose better ones. It’s important to remember and understand the role of vitamins in our bodies. We don’t live in a world free of pollution, we don’t produce only healthy and organic food, plus most people don’t get as much sleep as needed, therefore vitamins and minerals are essential. To put things into perspective, one USDA survey showed that only 37 percent of the American population don’t get enough vitamin C, 75 percent don’t have enough zinc, 70 percent don’t get enough vitamin E, and only 40 percent of them don’t get enough iron. A lot of research about the average human lifestyle definitely calls for every individual to at least take the basic multivitamins and mineral supplements to help the body avoid the possibility of contracting diseases or simply getting sick too easily. The whole point of functional medicine nutrition is going for an approach that works perfectly for you. Each person is unique, therefore, the best way to optimize your body is by going for this type of approach. Always go for what is backed up by research and includes what your body needs. For you to make the most out of it, how you live each day is what makes it work effectively. Unlike “conventional” medicine, this approach teaches every individual to make responsible and smart choices for your body that is programmed to meet the specific needs of your body. FX Med Centers is proud to offer its services out of Paramus and Ramsey, New Jersey and their surrounding areas. Contact Us today for more information, your initial telephone consultation is free and we will match you to the right provider to fit your personal needs!